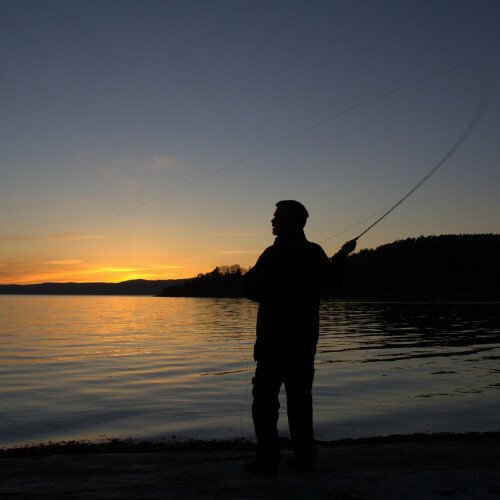 Salmon Fishing in Norway - a pilgrimage for anglers? 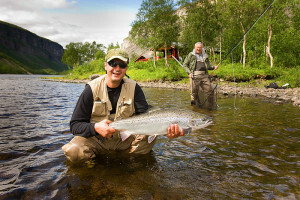 Is this Scandinavia's best salmon fishing adventure? Or are there plenty of other fish in the sea? 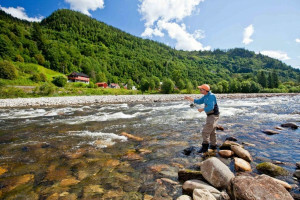 Your base will be the secluded Aunan Lodge, nestled in a beautifully tranquil valley on the Orkla River in Rennebu, an hour south of Trondheim. Your seven summer days will be spent happily, patiently and lazily fishing on one of twelve unique pools spread over more than three miles. With one guide per six anglers, their expert tactical and technical advice will help you land that 40lb beast! Your evenings at the lodge will be spent laughing by the lodge fire, drinking fine whiskies and telling tales of “the one that got away” (that’s fish and ex-girlfriends/boyfriends!) to your fellow fishermen friends. Your evenings at the lodge will be spent laughing by the lodge fire, drinking fine whiskies and telling tales of “the one that got away” (that’s fish and ex-girlfriends/boyfriends!) to your fellow fishermen friends. 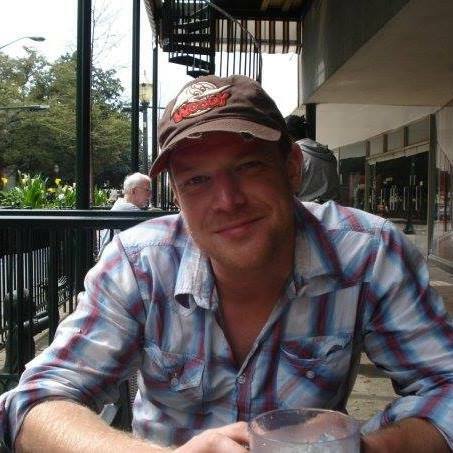 Expert tuition to help you land that 40lb salmon! Good luck! Local reindeer, Norwegian strawberries, and of course, salmon!